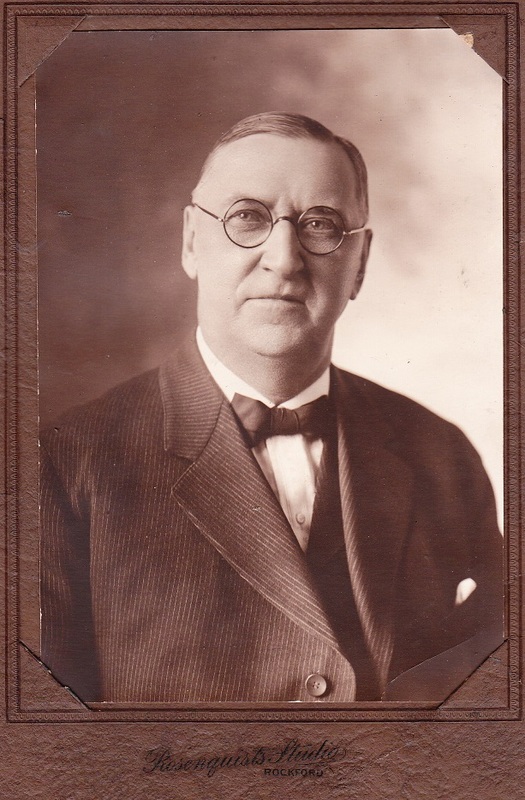 Source of Photograph: Angela Johnson Bates, donation, who we thank. Photo taken at Rosenquist Studio, Rockford, not dated. Chief Bargren entered the Rockford Police Dept. as a patrolman May 5, 1889. He became Chief on May 5, 1893. He retired May 6, 1940. He was followed by Chief Charles Manson, who was followed by Chief Folke Bengston. 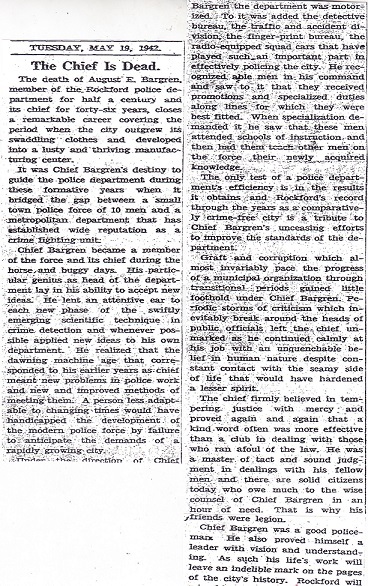 The article below is from Rockford Register-Republic May 19, 1942, about his career as Chief.